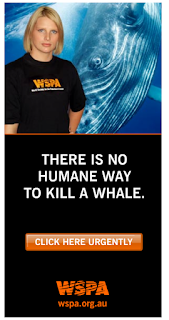 Coexisting With Nonhuman Animals: WSPA: "there is no humane way to kill a whale"
How can there be a "humane" way to kill a cat, a dog, a cow, a sheep, a pig, a duck, a deer, a person...but not a "humane" way to kill a Whale? Whales are no more special than a cow or chicken. 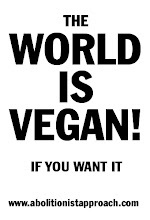 Please WSPA, promote Veganism!